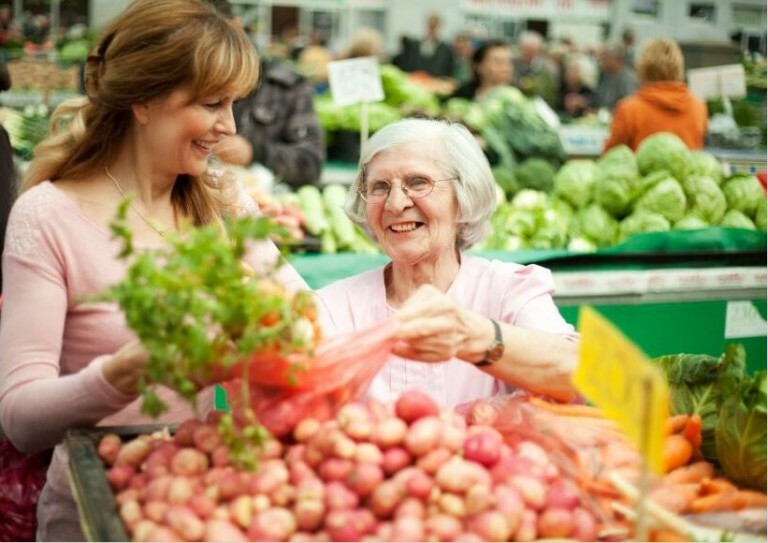 Recently, the topic of hunger has come even more into focus here in America, and this time the focus is on the elderly. Even with the numerous programs in place here in the United States, there are millions of people who go without proper nourishment every day. Those who are aging are not excluded from these statistics. It’s estimated that close to 10 million people ages 50 and over and are currently described as “food insecure.” This number has nearly doubled since 2001. Here at Freedom Home Care we know firsthand how important diet and nutrition are, and just how much of an effect it has on our overall health. A proper diet can help a person of any age maintain a healthy and positive physical standing. With more and more elderly men and woman developing a problem with food it’s of the upmost importance to address this issue now. Many food-insecure patients can learn more about a healthy diet from their health professional. By writing recommendations for fruits and vegetables and educating patients on proper nutritional practices, men and women can learn more about the importance of their diet. Programs currently in place like Feeding America or the AARP Foundation’s Drive to End Hunger are helping to provide over a four billion meals across the country, but according to the numbers there is still a need. “Nothing is more critical to people’s health than food,” said AARP Foundation President Lisa Marsh Ryerson. Other programs have been implemented in grocery stores across the country offering programs to encourage healthy choices when shopping. As more and more of our loved ones grow older, difficulties like these can become more common. To learn more about food-insecurity or proper nutrition for yourself or a loved one, please visit our website today.